On the basis of my knowledge of the Faversham bawley “Good Intent” over the past forty-five years, I’d expect “Thistle” to have been built clinker and doubled over carvel. 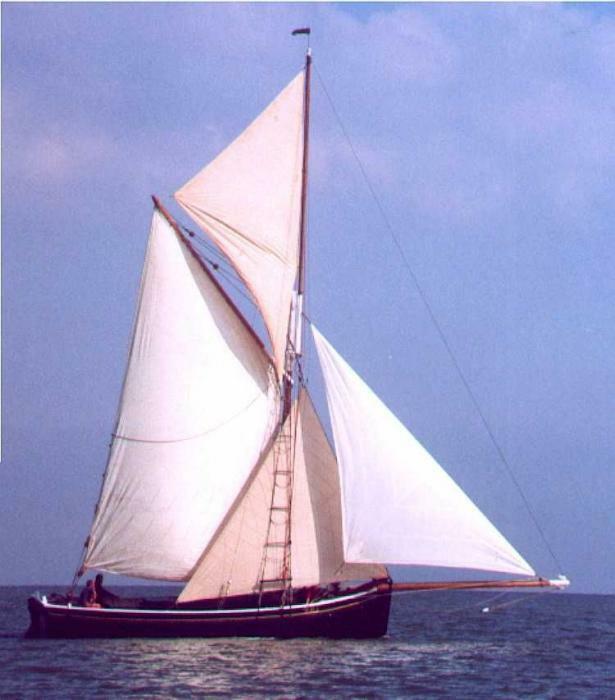 “Good Intent” is now single skin after Frank Knights’ rebuild of her in the 1990’s. Good Intent has one strake too few in her topsides, which accounts for her rather different look. This is because she was laid aside in 1930 with a rotten deck and beam shelf, but an enterprising local boatbuilder spotted that if he sawed right round the topsides, dumped the rotten decks and beam shelf, fitted a new beam shelf one strake down, laid new beams and decks and added a coach roof, he would be able to sell her as a “yacht” – which is what he did. Frank knew this but decided to leave the missing strake out of the topsides as it had become a part of her character. Quite possibly. I’m no expert but I’ve heard this kind of story two or three times in relation to other old smacks and bawleys, and it may be true of Thistle also. Great work, good to meet some of the folks from Iron wharf. I’m still trying to find out more info on my ferro boat project Fly of Halstow if anyone has any information I’d be really grateful…..